Tickets to An Evening with Charles Dance on sale now! Charles Dance makes a rare public appearance to bring you an unforgettable night highlighting his magnificent 50-year career in the entertainment industry. Often typecast as vicious villains and conniving politicians in his various film, television and theatre appearances and famous for his dashing good looks, Charles still to this day remains one of the most prolific actors on the planet. He is currently starring as Tywin Lannister in one of the most popular television series of our time, Game of Thrones, and also appears in the smash-hit Netflix series The Crown as Lord Mountbatten. Charles was catapulted into stardom after his BAFTA-nominated performance in The Jewel of the Crown. He was later honored with a Press Guild Award for Best Actor for his performance in Bleak House. Also renowned for his stage work, Charles has portrayed a number of titular roles for the RSC and received a Critic's Circle Award for Best Actor for his performance in Shadowlands. Charles has been so sought-after throughout his acting career and has appeared in so many starring roles that it would be impossible to list them all at once. Aside from acting, he is notable for making his directorial and writing debut with Ladies in Lavender, which starred Professor McGonagall's Maggie Smith and 007's Judi Dench. An Evening with Charles Dance will be a night full of captivating anecdotes and insight. Don't miss it! 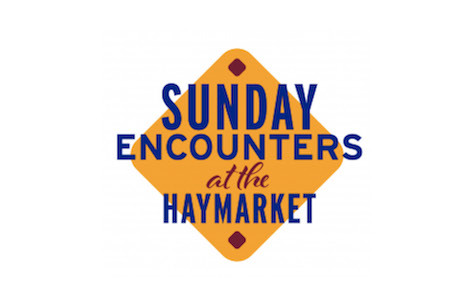 An Evening with Charles Dance is presented by the Theatre Royal Haymarket as part of its 2019 Sunday Encounters season. Game of Thrones' Charles Dance live on the West End stage! Tickets to see Game of Thrones actor Charles Dance live on stage are selling fast! Hurry and book now before it's too late!